Social policy in modern industrialised societies is increasingly challenged by new social risks. These include insecure employment resulting from ever more volatile labour markets, new family and gender relationships resulting from the growing participation of women in the labour market, and the many problems resulting from very much longer human life expectancy. Whereas once social policy had to be in step with a standardised, relatively stable and predictable life course, it now has to cope with non-standardised individual preferences, life courses and families, and the consequent increased risks and uncertainties. 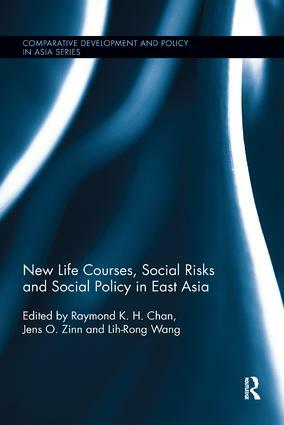 This book examines these new life courses and their impact on social policy across a range of East Asian societies. It shows how governments and social welfare institutions have been slow to respond to the new challenges. In response, we propose a life-course sensitised policy as an approach to manage these risks. Overall, the book provides many new insights which will assist advance social policy in East Asia.